In Electra Memories, I mentioned that, as a child growing up in the 1970’s, our family lived in Northern New Jersey and often vacationed in Sarasota, Florida. 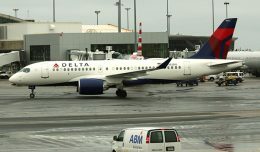 This meant we had exactly two airline options if we wanted to fly directly into Sarasota/Bradenton Airport (SRQ) and avoid the much longer drive from Tampa International (TPA) to the North. Those options were Eastern and National. In both case the equipment we flew was almost invariably the same no matter which of the three major NY area airports from which we departed: the Boeing 727. 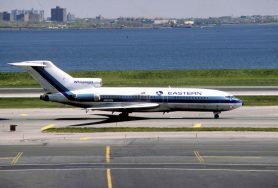 Very occasionally Eastern had a DC-9-31 on the route but the 727, in either -100 or -200 configuration, was the mainstay. As a budding airline enthusiast this felt almost intolerable. “A 727? Again?” was a question my dad got used to hearing, and often. Times do change however and so do perceptions. What at 8 years old was a “boring” airplane ride on Boeing’s “Three-Holer” has become, at 49, a precious memory from a time when life was simple and good and my family was together. Today, perched on a shelf in the office in the museum at which I work, are two highly detailed 1:200 scale models of 727-200s in the colors of, yes, Eastern and National respectively. That’s right, the two airline/airplane combinations that felt like a curse when I was a young kid are now among my most favorite. As for the carriers themselves I’d have to say that Eastern and National are today on the top of my list, as far as affection. 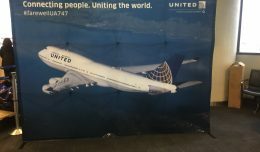 As an adult I have become an avid airline memorabilia collector and much of my collection revolves around these two airlines and their operations during the 1970’s. Yes, perceptions do change under the influence of wonderful adult memories of childhood. 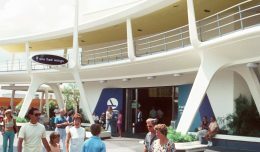 What I wouldn’t give today to leave from one of those now demolished terminals I so well remember on an EAL or NAL 727, destination Sarasota, just one more time. How about Mackey International Airlines and Pan Am. Along with National and Eastern, they were all Miami based carriers, that went out of business in the relatively same time. National was taken over by, and merged into, Pan Am in 1980. The original Mackey was taken over by, and merged into, Eastern in 1967 (Mackey International was a successor carrier that flew until about 1973 I believe.) The two that were Miami-based and went out around the same time were Eastern, in January 1991 and Pan Am, in December of 1991. I worked for Mackey. 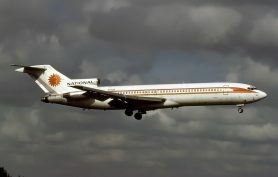 It was purchased in 1979 by Charter Airlines/ Sunny South (William Cousins). 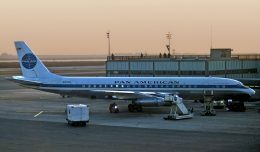 They purchased 3 DC-8, and 2 Convair 580. 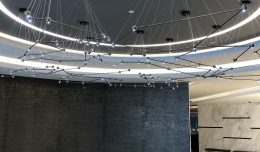 Put 1 dc8 and the cv580 on the routes. Went out of business 2 years later. OK, that was the second Mackey. I stand corrected on the 1973 date. Shea, I know what you mean. There was a time, specifically following the fuel crisis of 1974 and on into the early eighties when trips became somewhat boring. After the 880’s, 720’s and old pure jets were retired it seemed like the really cool stuff was gone! The “Nubs” (DC-9’s) and -72’s took over everything. I can’t even begin to remember how many trips I took on those aircraft. I remember some wonderful trips on NA -72’s between New York and either TPA or MIA. The most violent turbulence I ever experienced was on a NA 721 from the old MCO to MIA in a typical summertime late afternoon thunderstorm. We took off following an EA 721 right into the rain wall. It was bad. The strength of that airframe was incredible! I think for me it was the DC-8’s, 707’s and wide-bodies that I wanted to fly in the mid to late-1970’s, although in infancy I did fly on an EAL 720 and, at four, on a DAL CV-880. 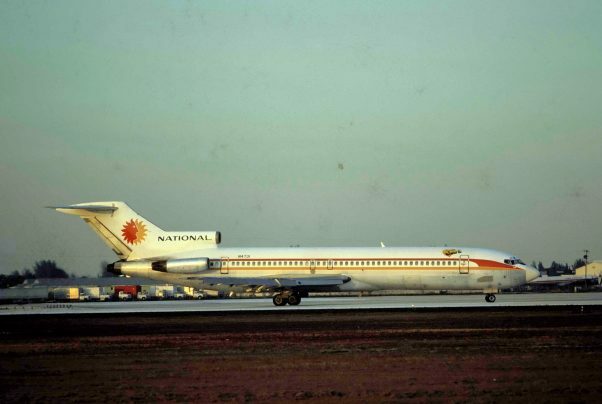 Wide-bodies were never scheduled into SRQ ( Eastern did test the A-300 there a couple of times, but never followed up on it) National had a very brief DC-8 service to Sarasota for a few months in late 1973, but it was only a Miami round-trip turnaround. Glad you survived NAL 721. As I’m sure you know, a post-merger ex-National 727-235 didn’t make it on departure from New Orleans in 1982 in that kind of weather. Shea, I had similar 727 experiences out of Dallas Love Field and Dallas/Fort Worth at about the same time as you describe. If you wanted to go anywhere domestically, chances are you would be on either an American 727 or a Braniff 727. My first 727-100 flight was on AA, DTW to ORD to Dallas Love Field in August 1964, just a few months after they went into service. On the trip up, I saw my first 727s at O’Hare. My mother and I thought they were strange looking to say the least. By the time I was working for American in the 1990s, there were times when I would fly anywhere just to get on a 727 and hear those engines whine and the funny signal bells in the cabin. My airline friends understood perfectly. After all, these were the same friends who would meet up at DFW on our days off and use our passes to fly somewhere, anywhere, the farther the better, just so we could fly. I am fortunate to still fly the mighty 72! A freighter now, but still a handsome if old girl! Your story really hit home with me !! My family also went to Florida to visit relatives who lived in Venice not far south of Sarasota and we only flew National !! From that I became and avid aviation enthusiast and a huge National Airlines fan. I lived 3 miles from JFK not far from the National hangers off of Rockaway Blvd…. I still collect a lot of National memorabilia, worked at JFK for many years became a private pilot, etc but still look so fondly on those early days when we used to fly to Florida on NAL… I too used to long for a bigger plane to try but now after flying all of them I long for those old simple days ! They were the best !!! Thanks for a great story and bringing back so many memories !